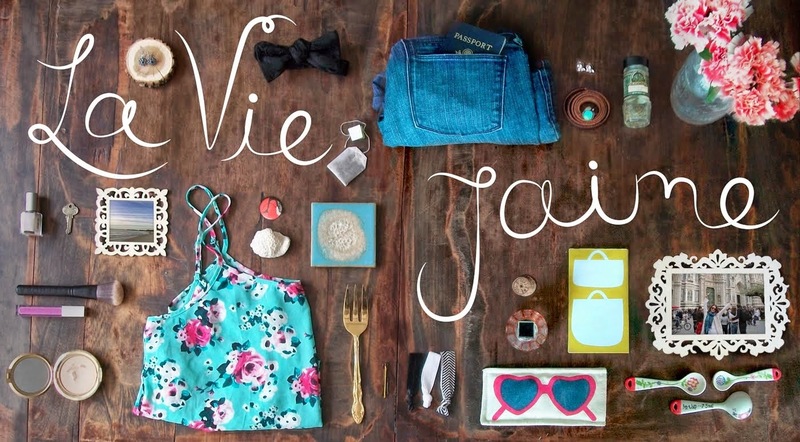 Jenna from Mi Vida Bonita is our second-to-last My Stocking...just 2 days til Christmas! I'm a modern gal, that likes traditions. 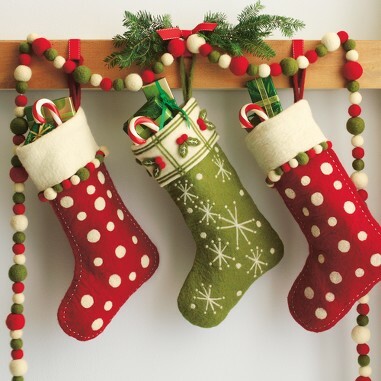 This felt, red stocking with polka dots is just the right mix of modern & traditional. 1. Rebecca Minkoff double wrap pyramid bracelet- versatile bracelet with an edge; it's so cute. 2. 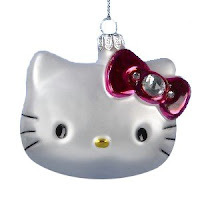 Hello Kitty ornament- I have always loved Hello Kitty! 3. Juicy Peace Love perfume- I love this scent and am totally out of perfume..hint hint santa. 4. 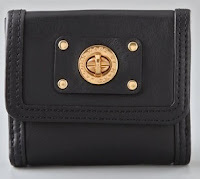 Marc Jacobs Totally turnlock small french purse wallet- I've been looking for a smaller wallet, so that it can fit into all bags even clutches. This is the one! 5. 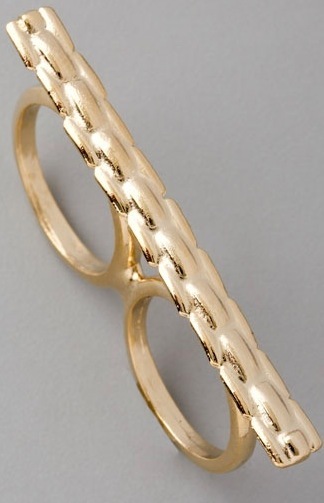 Bop Bijoux Chain Bar ring- This is such a cute double finger ring. That Hello Kitty ornament is SO cute! I want one! And that bracelet too! i absolutely love this series! you can see what other people want for christmas and maybe even think of something for yourself!!! I love this series too and am sorry I haven't been leaving too many comments...UK farmland has NO internet at times...and smetimes VERY slow! I love that ring! It is so elegant. That RM bracelet has my name written all over it!